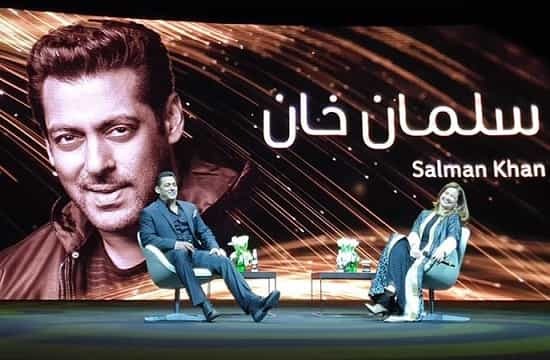 - Salman Khan shared his vast career experience on stage in the event, covering all the details about his acting and producing films in Bollywood Industry. He has made almost 80 Bollywood movies and produced about 30 movies through his production company called Salman Khan Films. - His first super hit movie with leading role was "Maine Pyaar Kya" in 1989, After which he has given so many blockbuster movies to the Bollywood industry. - Salman Khan also founded charity center called 'Being Human' in 2007, which provides education and health care services for the poor people in India.